The holiday season is right around the corner! That means more time spent in the kitchen cooking, baking, and spending time with family and friends. 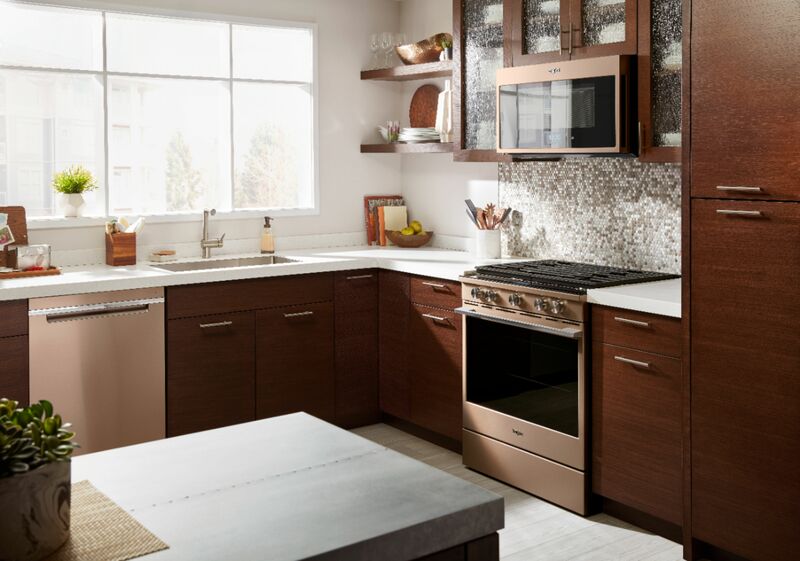 If you are looking to upgrade your appliances for the holidays, you’re definitely going to want to check out the Whirlpool smart appliances at Best Buy. I partnered with Best Buy to bring you this post. All opinions are my own. Whirlpool smart appliances are purposefully designed for the way you live. Features like “Control From Anywhere” connect you when you need it, wherever you are. The appliances keep up with you, so you can keep up with the ones you love. Enjoy mealtime flexibility and control your appliances from any room in your home. With the click of a button, holiday cooking and entertaining becomes smarter and easier! We’re in the process of remodeling our kitchen, which means I finally get to upgrade my builder-grade appliances. 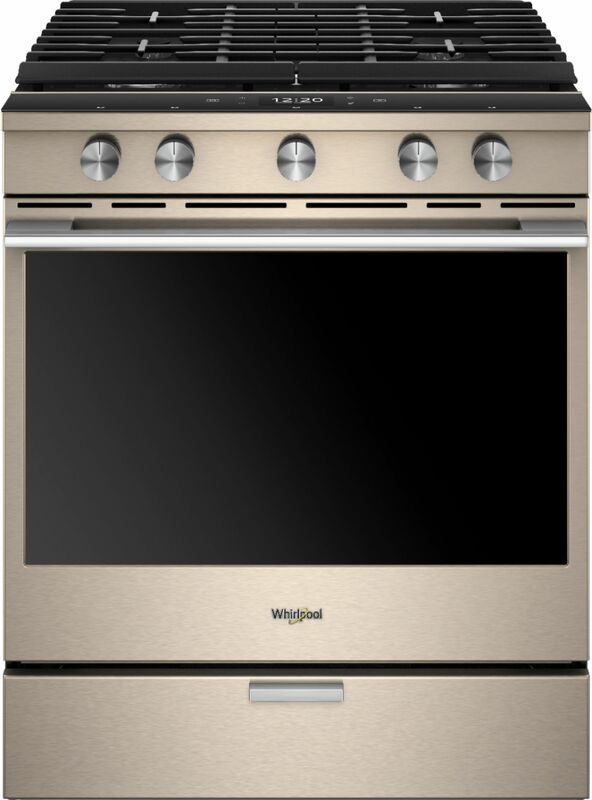 I’ve always been a stainless steel girl, but I have fallen in love with the Whirlpool Sunset Bronze Gas Convection Range. 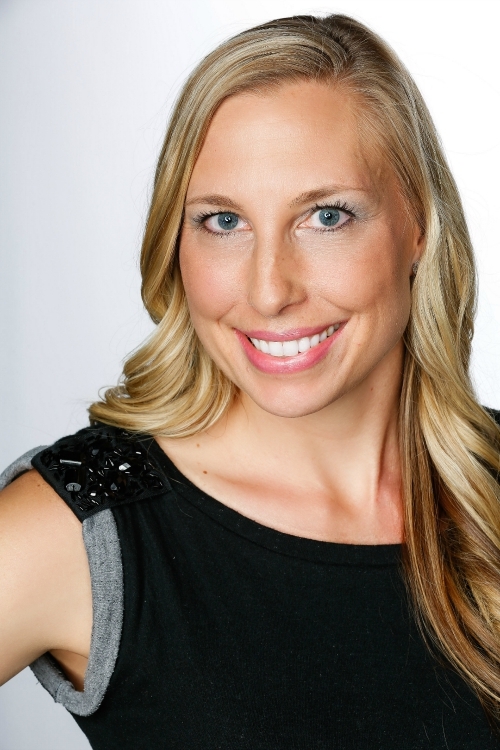 Isn’t she a beauty?! Whether using the touchscreen or controlling your range or microwave from your phone, Whirlpool’s connected appliances help keep mealtime hassle-free on your busiest days. Just in time for the holidays, you can save up to $400 on select Whirlpool kitchen packages at Best Buy! *Keep in mind, to use all the features you’ll need WiFi and the app. Appliances will also need to be set to Remote Enable. Features are subject to change. Details and privacy info can be found at whirlpool.com/connect. The bronze color looks amazing!! Whirlpool makes excellent appliances. These look like great appliances. I love the bronze color.